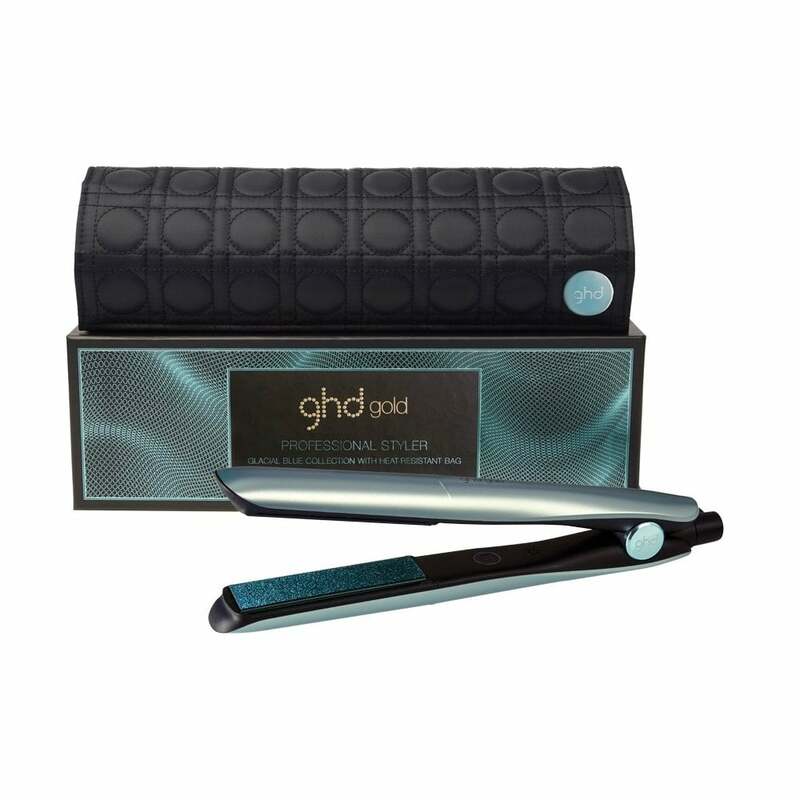 ghd&apos;s Gold Professional Styler in Glacial Blue is THE ultimate hair straightener. Delivering exceptional, salon-style results, this styler is the go-to for countless professionals across the country. Coming complete in a gorgeous gift box, this styler also includes a free heat-resistant roll mat. Dual-zone® technology maintains a safer-for-hair heat constantly and evenly from root to tip. Advanced sensors in each plate ensure the optimum temperature is maintained consistently across the plate. Smooth, contoured floating plates glide through hair for quick frizz-free styling and enhanced shine. Sleek design & round barrel for versatile, snag-free styling. Heat-resistant plate guard & heat-resistant mat included. Justmylook is a fully authorised ghd stockist and this product is guaranteed for two years. Purchased as a Christmas gift for one of our daughters so haven’t tested the straightener yet. Brilliant, very pleased with these straightners .Hair also is left healthy and has a great shine.Great product. I have had GHD’s for the last 10 years and always been happy with them and these ones do not disappoint either. I love the colour of them and the bag/heat mat is great. Excellent product and the cheapest on the internet. Fast delivery, don't hesitate to buy from this great seller. A Christmas present but I am sure they will be good. Good product easy website too use delivery very good. The only complaint is the very beautiful box was damaged on arrival !! The upper edge of the Box was scuffed in two places breaking the wrapping , the plastic postal bag wasn’t damaged at all. Disappointed as it didn’t look brand new when I gave it to my wife as a present.